Y.K. 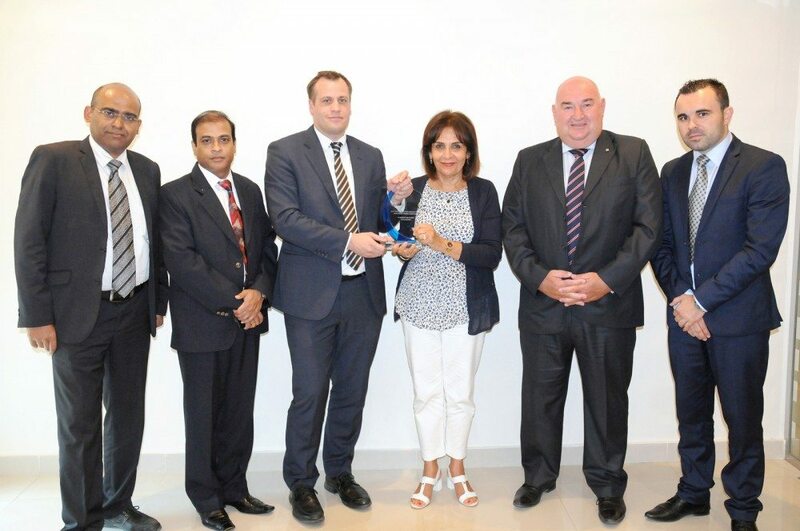 Almoayyed & Sons, the sole distributors of Renault vehicles in the Kingdom of Bahrain, were recently awarded for their compliance with Renault PER4 standards. The PER4 is a quality excellence certification from Renault Global that ensures uncompromising standards in customer service and service operations of the Renault after-sales operations. This evaluation is conducted each year on the basis of Visual Identities (VI), Process and Management standards. The PER4 award certifies from Renault Middle East that reinforces the fact that Y.K. Almoayyed has adhered to the processes set and has complied with the service operational standards of Renault globally. The award was presented to Mona Almoayyed, Director of Y.K. Almoayyed & Sons by Tony Boutet, General Manager, After-Sales. Also present at the presentation were, Gilles Novo, After-Sales Zonal Manager, Paul Baker, General Manager, Sreekumar, Senior Service Manager and Prabhudev, Service Manager.